I'm huge fan of remote storage for backing up my recent documents and the important one I always want to keep close to me. I started by using Google Docs: Loved it! It gave me satisfying storage space for very cheap (5 USD /year for nearly 30 Gigs) and the possibility to edit my documents from a web browser, making it easy for me to edit a spreadsheet or word document from virtually anywhere. I was then confronted to the difficulty on syncing the files I had locally and on my Google Docs. Uploading and downloading files back and forth just made the whole process counter productive. I then discovered Dropbox. It offered smooth synching of my local files on drive with the ones on server. This was really convenient for me and for a while I even stopped using Google Docs. 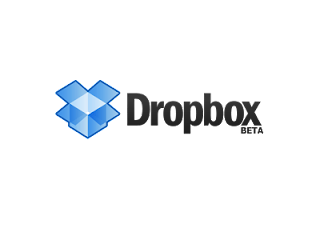 Using this in combination with Transmit 4's ability to sync directories, I was able to emulate Dropbox functionality while taking advantage of the large storage space I have on Google Docs with it's collaborative functions. For those who are interested, "Note that the username and password are handed to DAV-pocket first and then DAV-pocket uses the account information to login to Google Docs. DAV-pocket does not store the account information, and all of your online storage-related traffic to Google Docs is transmitted using the HTTPS protocol, so your access to Google Docs is secure as long as you use HTTPS. Still, for security reason, we strongly recommend not to use your 'main' Google account. It's better to create another Google Docs account, and share folders or files with your 'main' account." Something's broken trying get this WebDAV method to work in Windows 7. Even if Webclient service is running, the new folder came up blank and copying in files resulted in errors. Another question, is server's Auth type Digest? Some research suggested Basic will not with in Win7. You need to get the windows equivalent of Transmit 4, use the WEBDAV connection type and enter dav-pocket.appspot.com as server and then fill in the username and password and you're ready to go!!! Works great on my Mac! Excellent! Works perfectly on my Mac using Transmit 4. Thanks for the post! Hmm I can download but I can't upload !!! I am having the same problem as Jon, I can download, but I am getting errors when trying to upload. Same problem here- error for uploads. I am using cyberduck instead of transmit, but it should work the same. I have a problem though. I am able to download, but the files don't show any extensions. When I looked at what i was getting, they were pdf files. I assumed I'd be able to interact with my google docs as either .doc/.xls or odt files. Thanks for posting this! I looked all day yesterday for a solution and couldn't find one that worked on mac. After thinking more about it and considering using transmit I researched and found this post. I can save the connection as a favorite and then mount the favorite as a disk! Now I have basically a DropBox-like folder for my Google Docs. Have you looked at gladinet? Thanks a lot for the information. I have mounted my google drive data on a linux machine with davfs2 (using https://dav-pocket.appspot.com/docs as the server and a geneated password as I am on 2 factior auth). It works but it is glacially slow (and by glacially I really mean it). An "ls /cloud/google.drive" (which is the mount point) takes a good 1-2 minutes. So this is not useable in practice.